Working as a waste reduction professional I am often flummoxed, not only by the quantity of what we send to our landfills, but also by the value of the things we throw away and often thoughtlessly. I have mentioned in this space before that part of the reason we throw so much away is that our systems make it so easy. Into the bin and out to the curb and it magically goes way. In our modern society, we are so good at keeping our trash out of sight and out of mind. Unless you are like me and spend some time walking alleyways and exploring garbage enclosures, the depth of our trash habit is largely unseen. It is easy to look past the fact that Whatcom County residents together generate nearly one million pounds of waste per day. Overall, we do a reasonable job, recycling 46% of our waste to reduce what we send to landfills – well above the state average. 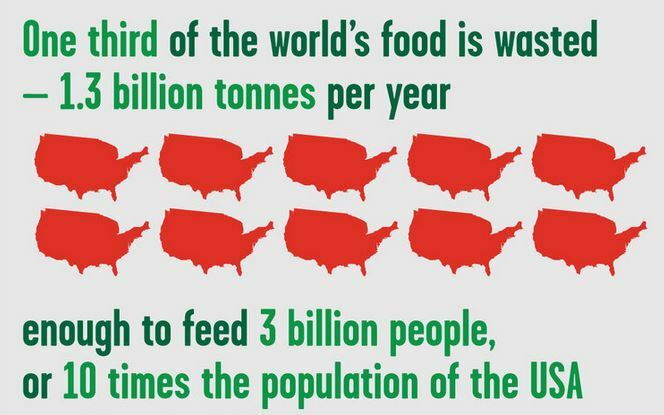 However, when it comes to how much food we waste, we are decidedly average. Food waste happens at all levels, but as a single sector, residences waste the most food at 44%. The commercial sector including grocery stores, restaurants, and institutions combined make up 54% of food waste. The commercial sector and what can be done to improve is something that I have not been able to get out of sight and out of mind. During waste audits with restaurants, food producers, and events, there has been a common element of the waste streams that defies logic – discarding perfectly edible food. The recurring image of edible foods discarded into the compost bin, or worse, the landfill bin, was constantly on my mind, and a catalyst for a major initiative I was hoping someday Sustainable Connections as an organization could take on. Other local hunger relief organizations are working hard to collect and deliver non-perishable foods and redistribute them; but where a large gap exists is prepared edible, perishable foods that need to be redistributed in a much shorter time frame. This is where our Food Recovery Initiative aims to make progress and get this good food to those in need, and out of the waste stream. To get down to the brass tacks, what does this really mean? It means that by the end of June 2019 and through Sustainable Connections’ Food Recovery Initiative, we will redistribute 30,000 pounds of food and 12,000 meals to our community. This is a lofty goal but we are certain with the help of the exceptional business community, local hunger relief organizations, citizens, and volunteers we will exceed this goal and join other communities that see food as the valuable resource it is – one to be respected, cherished, and shared! Would your business like to donate? Would you like to volunteer to help? Contact mark@sustainableconnections.org for more info. And come check out our workshop on Safely Donating Prepared Foods.